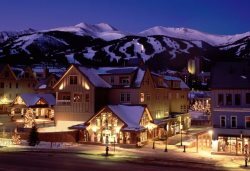 3 bedroom, 3 bathroom deluxe condominium located only 2 blocks to the Silver Queen Gondola. Featuring updated kitchen and bathrooms, this unit offers contemporary decor with a spacious living area, wood burning fireplace, lot's of natural light and a private balcony with views of Red Mountain and the town of Aspen. All guests receive complimentary airport limo transfers, and admission to the world renowned Aspen Club & Spa.